I can’t believe it took me this long to discover the wonder that is Bvlgari Rose Essentielle! For weeks now, I’ve been meaning to reward myself with a new perfume and after many visits to many different perfume counters, I stumbled upon Bvlgari’s Rose Essentielle. It was love at first scent - I was immediately mesmerized by its intoxicating scent and I knew I had to have it. It's now one of my personal favourites! Rose Essentielle pays tribute to the world’s most romantic flower, the Rose, which symbolizes love, elegance and beauty. The most sophisticated fragrance in the Bvlgari Pour Femme collection, Rose Essentielle breaks away from the usual green tea notes of Bvlgari perfumes by combining Prelude rose, Brazilian rosewood and top notes of jasmine, mimosa and orange blossom to give you the ultimate floral expression of total luxury and elegance! The best part of this purchase was the 2 Bvlgari minis that came with the set, which I'm certain will brighten up my gallery even more! Compatibles: Not the Fire signs. hi. i didn't know you can make a blog as lovely as this with blogger. 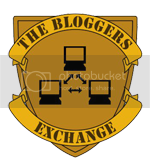 :) i have to say this is the best blogger blog i have come across so far. and i like your avatar too. it is so you. :) thanks. Cool blog. I visit a perfume blog I am sure you would enjoy "Tangled in l'heure bleue." There is a link on my space. I like your page, very girly and cute, yet informative :) I had one Bvlgari’s Rose Essentielle, but only managed to use it for a few time as I have a 10 months old baby now. Thanks bee! Congrats on ur baby, but hey you can still use ur Rose Essentielle whenever you wanna feel all pretty and nice :) Have fun! Hi - you've got a cute blog! I like your mini's collection. They are fun to collect aren't they? You've got adorable artwork on your blogger! I'll return again to see what's new. I love Rose Essentielle-- that and Blu Notte pour Femme are my favorite Bulgaris--and I like a lot of them! They are both so feminine. love the bootle design, love the name as well!